Optical filters selectively transmit light with certain properties, while simultaneously blocking the remaining light. Filters are used in various applications for color separation, in but not limited to CCD imaging, machine vision, digital projection and photographic applications. 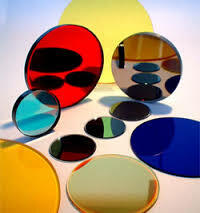 PSG offers a complete variety of Optical Filters and Filter coatings. Please contact one of our technical sales staff members to assist you.